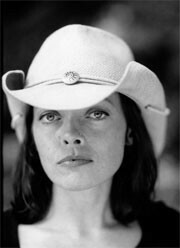 Rachel Harrington, the country soul sensation from Seattle, USA has just announced a new band – The Knock Outs, a new sound, a new album and an extensive UK tour in March and April 2012. UK TOUR • MARCH-APRIL 2012 … NEW ALBUM COMING SOON! "Imagine Loretta Lynn playing Otis Redding songs in a garage in Seattle – in 1963."